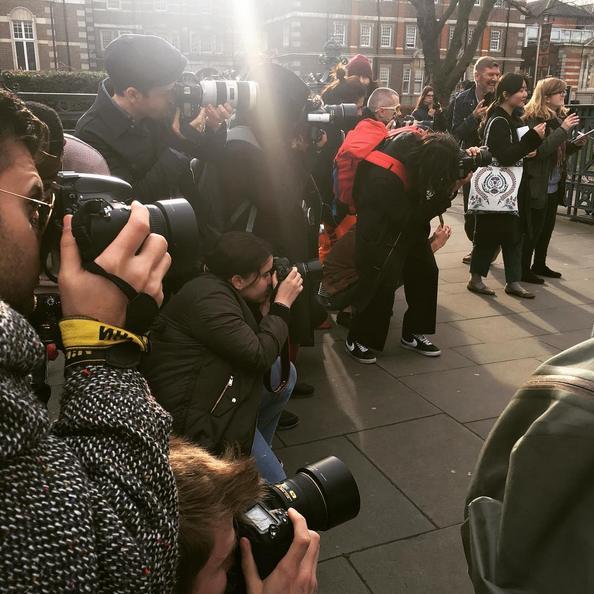 Yesterday on a surprisingly and welcomed tropical day, we made our way down to Tate Britain to see what sights we could see outside the Christopher Kane AW17 show. When we arrived, we were greated by a sea of photographers waiting for their prized shot. As the show time drew closer, guests started to arrive - some cutting it very close with the whole Vogue team arriving 15 minutes after the start time. From bloggers and personalities to editors and writers, they were all there. And we tried our best to get the shot whilst trying to dodge the paps ourselves.